Neobux and Clixsense are the two biggest PTC website on the internet. And as you know PTC websites are the easiest route to make money online. You just need to sign up and click on advertisements, complete offers, do different tasks etc. In return you will get money to your account which you can easily withdraw via PayPal or using other payment processors. That’s the fundamental of any PTC sites that you will find. At the same time you should be aware that if you want to multiply your earning, you will need referrals. Without referrals, you can still earn money but the amount will not be decent enough. 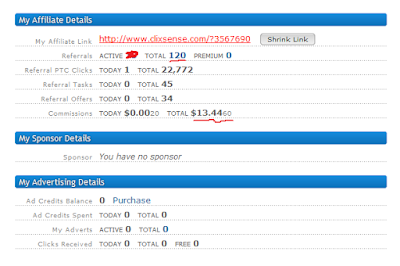 That’s why I am going to share how I was able to get more than 100 referrals for Neobux as well as in Clixsense. So that you can use it for your benefits. The techniques I used are very simple and easy to follow; I am quite sure you can easily implement those and get handful of referrals for yourself. First of all, you need to change your mindset all together. 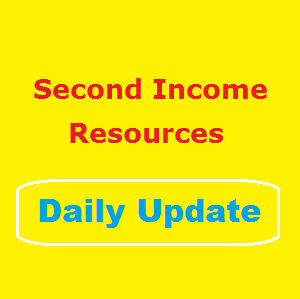 If you are only clicking ads for part time income, you will never succeed. You need to make yourself believe that PTC can also provide you decent and consistent income. Once you have that believe within yourself, you will automatically discover new ways to boost your referrals and by doing so you can increase the earning too. Social media is already quite big and in future it will become even bigger. Most of the people who use internet have social media presence. And social media can be a powerful tool which you can use to gain more referrals. It has certainly no limits and I have personally used social media to get more than 100 referrals for both clixsense as well as in Neobux. However you need to be careful so that you are not over promotional in facebook, twitter, youtube etc. Otherwise you may not get the desired results. Nowadays everyone is looking for new ways to make extra money to support their main income. Why not help them by informing about the PTC websites that you use. I am quite sure they will gladly accept your invitation if you explain the benefits of PTC websites and how easy it is to make money through clixsense and sites like that. Moreover you can personally help them if they face any problems. There are many platforms such as blogger, wordpress, tumblr etc where you can free blog. It requires no investment other than your free time. These free blogs are one of the great sources of my referrals. Regarding the content of the blog, you can just share your personal experience regarding Clixsense, neobux and others. I am quite sure there are people who will be eager to read your experience. You can also start the blog in your native language to target specific niche. As far as the getting referrals for PTC websites, these are the techniques which have worked for me. Hence I will definitely recommend you to use those. Moreover you can surely add your own twists to make it even more effective. Thank you for sharing these website to make money online. Sources Of Passive Residual Income includes things like royalties received for creating an intellectual property such as a book, advertisement payments received for Internet etc. Thanks for sharing good article about how to get referrals. By reading your article I get good tips.